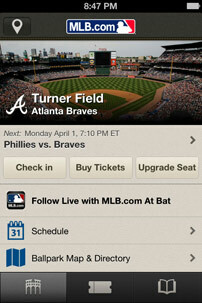 MLBAM partners with Experience seat upgrade technology as an At The Bat app feature. Their new partnership to deliver seat and experience upgrade technology was announced today by MLB Advanced Media, L.P. (MLBAM), the interactive media and Internet company of Major League Baseball, and Experience (findexp.com), the fan experience mobile technology company. The Sports Techie community can now experience upgrade and mobile seat technology at participating MLB ballparks. “Integrating our technology into MLB At The Ballpark will allow baseball fans to enhance their experience at the ballpark. Fans can try a new section of the park, beat the heat with shaded seats, or get access to VIP and club areas,” said Ben Ackerman, President of Experience. The ability to upgrade your seat via a mobile device is borderline genius. It does not matter the event, having the option to get as close as you can or be located in a section you want to be part of, is sports tech innovation at its finest. The Arizona Diamondbacks, Atlanta Braves, Minnesota Twins and Oakland Athletics will be the first pioneering clubs to launch the service in April. The Braves successfully championed the Experience and MLBAM pilot test of the mobile seat upgrade feature at Turner Field last season. “Our fans have shown a growing demand for mobile ticketing opportunities and this collaboration with Experience will help further meet those expectations with a scalable, fan-friendly solution to personalize their ballpark experiences right from their personal devices,” said Noah Garden , executive vice president, revenue, MLBAM. MLB has taken it up a notch with their At The Ballpark app Opening Day update. Experience is part of the Opening Day update to MLB’s free app for iPhone, iPod touch and Android smartphones developed by MLBAM. At The Ballpark allows digital fans the options to check-in and manage tailored experiences at all 30 stadiums. Part of the new bundle of software goodies is expanded use of Passbook delivery for online ticket purchases. Originally launched last year, the official MLB ballpark application perfectly complements and personalizes your trip with mobile ticket purchases, check-in, sharable social media functionality, interactive maps, offers and rewards, favorite ballpark customization, directions and parking information and mobile food ordering at select ballparks. The app has exclusive content, and an important auditory component of MLB games, player and team music. For more information, please visit MLB.com. Established in June 2000 following a unanimous vote by the 30 Major League Baseball club owners to centralize all of Baseball’s Internet operations, MLB Advanced Media LP (MLBAM) is the interactive media and Internet company of Major League Baseball. MLBAM manages the official league site, MLB.com, and each of the 30 individual Club sites to create the most comprehensive Major League Baseball resource on the Internet. MLB.com offers fans the most complete baseball information and interactivity on the web, including up-to-date statistics, game previews and summaries, extensive historical information, online ticket sales, baseball merchandise, authenticated memorabilia and collectibles, fantasy games, live full-game video streaming and in-progress and on-demand highlights, live and archived audio broadcasts of every game, Gameday pitch-by-pitch application, around-the-clock hosted and specialty video programming, complete blogging capabilities and the award-winning suite of At Bat mobile applications. MLBAM powers more live events on the Internet than any other website in the world. Experience is an Atlanta-based technology company dedicated to ensuring fans have an incredible time at live events. 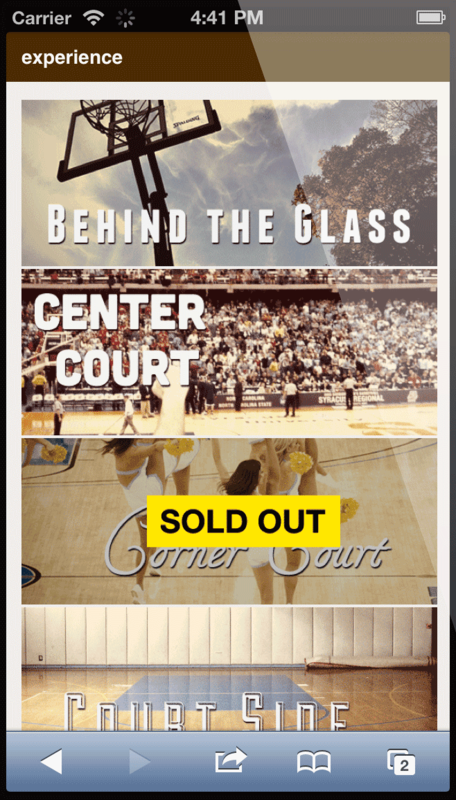 With Experience, fans can easily upgrade their seats and participate in other unique game day experiences all from their mobile device at sporting or other live events. Experience is available today with professional and collegiate sports teams nationwide. To find out if your favorite team offers Experience, visit www.findexp.com or follow us on Twitter @ExpApp. Sports Techie, When technology catches up to everyday actions with an experience like this, fans win. The Colorado Avalanche in the NHL are Experience users. MLB liked the success the Braves had in 2012 so much they will use Experience this year with the Braves again, and the Diamondbacks, Twins and A’s, as part of the At The Ballpark app feature tools. This robust MLBAM app has useful and safe technological gameday options. Fans can enjoy their MLB baseball viewing experience in person on another level because of this Industry leading interactive media and Internet company. MLBAM constructed a scalable app architecture so inventive sportsbiz owners could figure out creative Sports Techie ways to integrate and monetize with the At The Ballpark app just like Experience did. “This is a great opportunity for us to help fans have an incredible time at baseball games,” said Ben. Let us know in the blog comment section below or on any of our social networking platforms if you had a worthy or unworthy mobile seat upgrade experience at MLB games in Arizona, Northern California and Minnesota. Way to go MLBAM for implementing the Experience seat upgrade tech, it’s an incredible use of sports technology software and services. MLBAM continues its commitment to offer fans the most convenient mobile ticketing technology. Season ticket holders may soon be able to resell unused tickets which could go up for grabs to fans inside the ballpark after the fourth inning. Check in with At The Bat using your smartphone and look for a seat upgrade provided by Experience as part your new 2013 Sports Techie ballgame traditions.